When you first go to a hearing aid specialist and audiologist, you will be diagnosed with what type of hearing loss you have they will start a treatment plan. Part of the treatment plan will generally include a hearing aid. 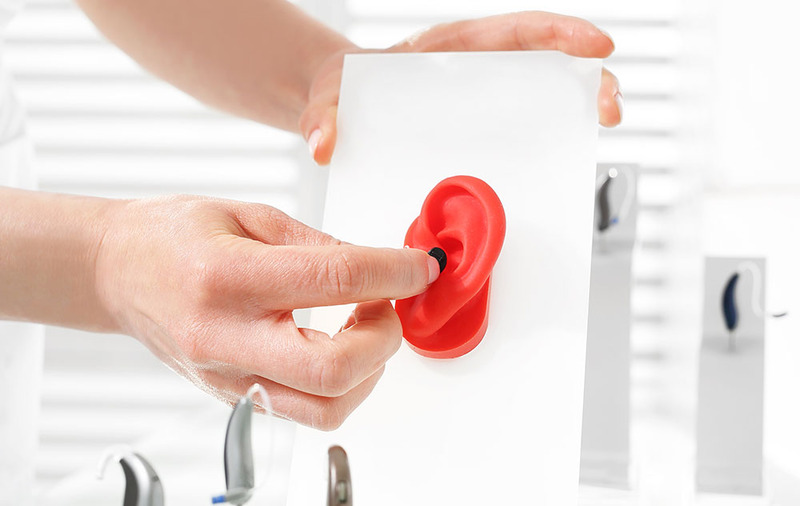 Before a hearing aid is prescribed, a mold is taking of your ear so the right hearing aid can be produced. The earmold of a hearing device is small, and reminds many of Star Trek's Spock ¨C with his protruding ears. They are the plastic part of your hearing aid ¨C which connects the ear canal to the hearing aid, and allows you to hear sound. Depending on what your audiologist determines in the degree of your hearing loss, and of course, the anatomy of your ear, the earmold size can be canal size, half-shell or even full-shell. Earmolds can be the color of your skin, and because they fit inside your ear almost, some are hard to spot. While others, you can see. There are 10 common types of earmolds ¨C available in a plethora of sixes and types of plastic. Earmolds are also used by non-hearing aid users as a protection against loud sounds at work or at play. An example would be a musician or even stock car racers. Swimmers use specific earmolds to help keep water out of their ears. It is important for earmolds to fit just right in your ear. They must be tight enough to prevent sound from leaking out and creating feedback, but not so tight they cause pain. Earmolds, even with them being made from an impression of your ear, aren't 100 percent perfect. Voice sounds are muffled. Sometimes, your own voice sounds too loud. This can mean that the vent in the earmold is too large or in the wrong place. If the earmold moves when you talk or chew, your hearing aid may produce an annoying whistling sound. A small handle can be attached that will hold the earmold more securely in place. The earmold is a vital part of the hearing device. To make sure that it works properly, you need to do your part as well ¨C in keeping it cleaned, keeping it safe and keeping in communication with your healthcare professional so they know when it needs adjusting. Due to the size of the earmolds, a case will be given to the patient for it to be kept safely when not being used.